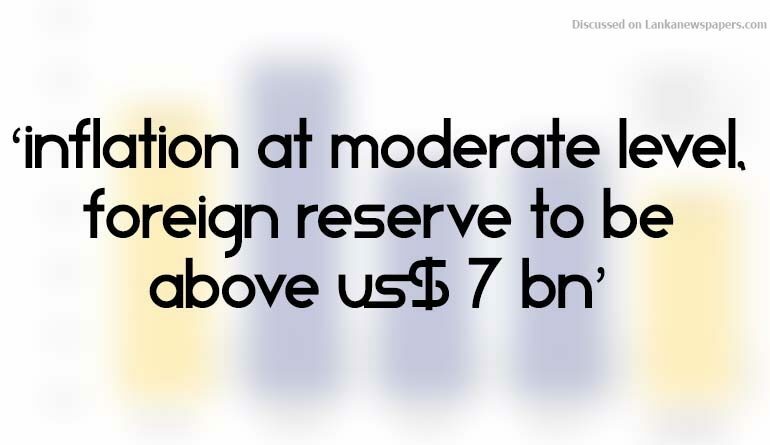 First Capital Research (FCR) believes inflation rate to moderate, foreign reserve position to be maintained above US$ 7 billion levels. FCR also expects the improvement in credit growth and likely increase in GDP growth in 2018. Consideration of above favourable macroeconomic environment, FC research says current monetary policy is appropriate and no change is required. 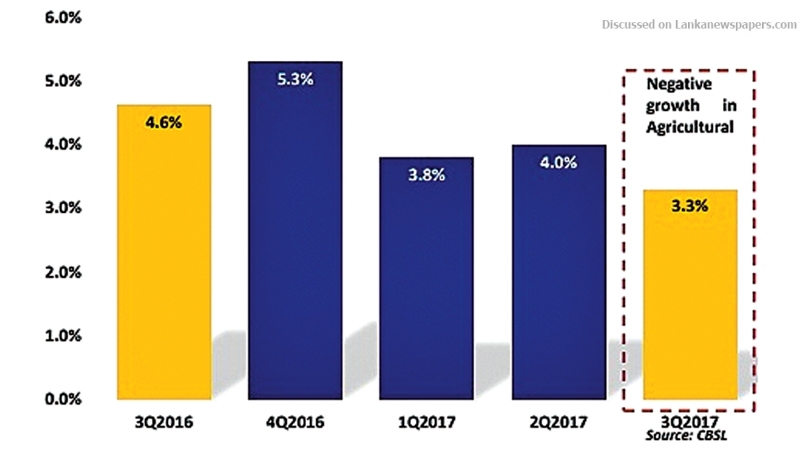 GDP growth for 3Q 2017 was lower than expected, grew by 3.3% YoY in the with overall agricultural activities reporting a negative growth mainly due to the unfavorable weather conditions (severe drought as well as heavy rainfalls) that prevailed during the last 2 years in many districts of the country. First Capital Research upgraded private sector credit growth for 2017E to 16% in Aug 2017 from 14% amidst a likely increase towards the end of the year. Private sector credit figure saw decelerated to Rs 41 billion in October 2017 prior to pick up by Rs 61.6 billion in November 2017, we believe overall credit is likely to continue to remain under check. First Capital Research forecast Feb 2018 CCPI headline inflation to be at 5.1%. We believe inflation will be under control over the next 2-3 months while there could be some upward pressure towards 2Q2018. Sri Lanka’s forex reserves assets decreased by USD 286 million to USD 7.67 billion in January 2018 which was equivalent to about 4.5 months of imports, from Rs 7.96 billion in December 2017. The CBSL had net purchased USD 191 million from currency markets so far during 2018. First Capital Research View: First Capital Research expects foreign reserves to maintain at USD 7 billion which is equivalent to 4 months import bill value. Economists said the Fed will still pencil in three hikes for 2018 ( March 2018, June 2018 and December 2018), but moved forward one of those projected moves to March 2018 from June 2018. Sri Lanka’s rupee also hit a record low of 155.90 per dollar yesterday , on heavy demand for dollars from importers.